The game is set prior to the events of the first game, as the title suggests. You control Rebecca Chambers, an 18-year-old medic on a mission to investigate some unexplained murders in the mountains with your rag tag fellow testosterone fuelled team mates (S.T.A.R.S). 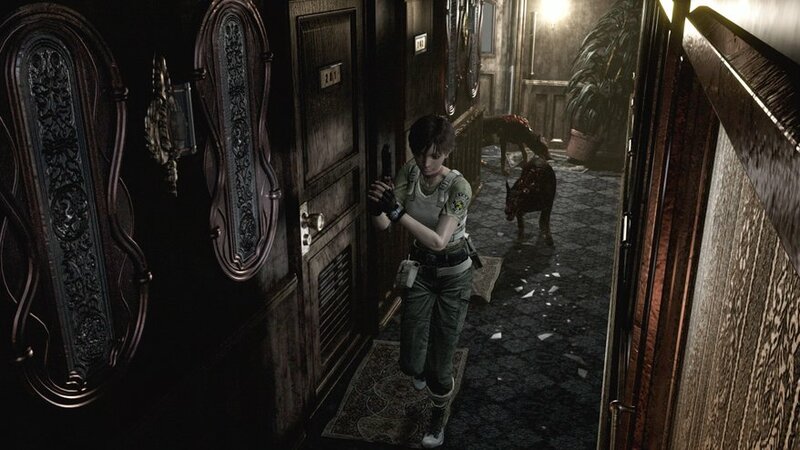 Rebecca soon ends up on a train, and the Zombies are there, dogs jump through windows and we have a Resident Evil game. Not too long into the game you meet a convict on the run, Billy Coen, a character who has just been forgotten about since this game. His story is very vague, which is something I genuinely miss from the series, where the story isn’t entirely explained and leaves a lot up to the player discovering notes and files dotted around the game to understand. Unfortunately with RE0 being a prequel it also explains plot elements I never felt needed to be explained. The game also adds infamous villains Albert Wesker and William Burkin and just has them sit there laughing at computer monitors like 80s super villains. I remember back in the day Capcom heavily advertised their presence in the game, but they really add nothing to the experience. There was potential for this story to explore more of Billy’s character and possibly surprise us with a twist ending but instead the plot really doesn’t amount to much. There is a neat reference linking the game to the original Resident Evil but overall Capcom played it far too safe with the story. 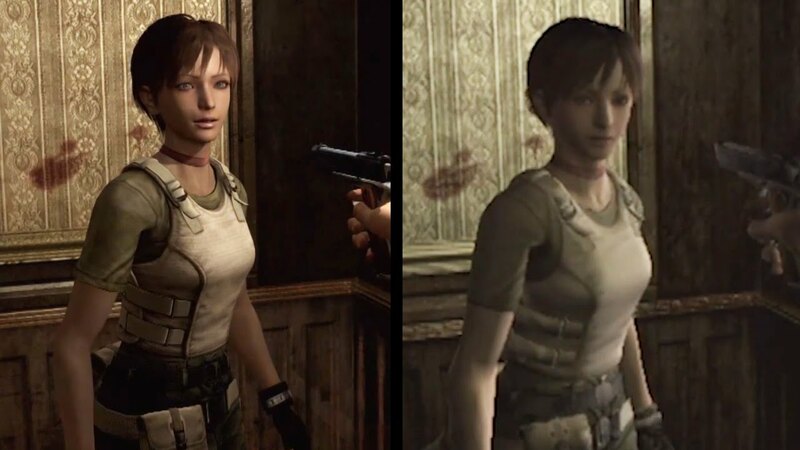 RE0 is the only game in the series that allows you to switch between characters on the fly (until the recent Revelations 2). This game was always constructed as a single player experience but I always thought it would have been incredible if they allowed you to play this game with someone else especially with the heavy emphasis on inventory management. Alas it was not meant to be and the only game we would kinda see this with is the Resident Evil Outbreak series. Many of the puzzles require you switch between characters as well as even separate. If your new to the game it has a nasty habit of trapping you in difficult scenarios without you knowing. For example, you will be forced to separate from your partner and at times your partner might be temporarily incapacitated. The problem is you just gave that character your best weapon and the healing items. Now your expected to take down this giant insect with the butter knife, whoopie. This scenario relies far too much on trial and error, if you haven’t saved often (and you really should the first time through) be prepared to do all that hard work again. Resident Evil 0 isn’t a very long game but it is artificially lengthened with a lot of backtracking for items. You see Zero adds a mechanic that allows you to literally drop items anywhere and pick them up later. The only problem is the game decides to completely do away with the useful item boxes the older games in the series are known for, which allows for each access to various items all around the game. In Zero you have to leave items littered around the place since Rebecca and Billy only have six item slots each. Not only that, but many weapons and even a very important key item take up two item slots. The scenario that you’ll likely encounter is you will progress through the game only to hit a wall where you require that important item you left about a half hour of backtracking away. It just feels far too restrictive as opposed to creating some sense of fear the game was going for. 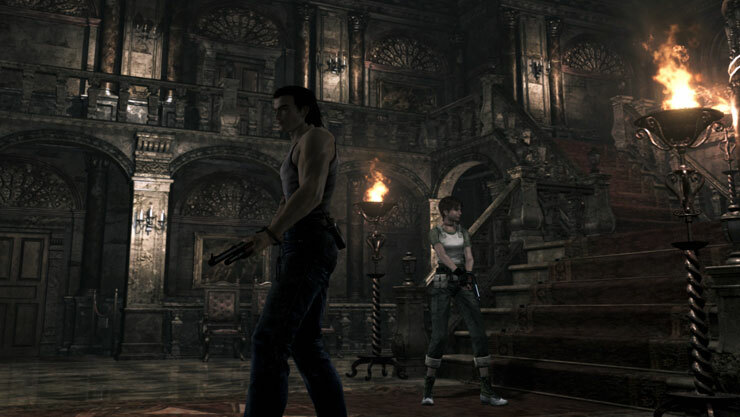 RE0 still tries to maintain its survival horror elements by limiting ammo and health items. The difficulty feels a little unbalanced in this adventure. On normal mode ammo and health is aggressively limited even at the beginning of the game which might put people off. Easy mode however, literally litters the corridors with ammo and health to the extent you almost hear the developers mocking you for not going for the harder choice. I have no shame admitting that playing on the easy setting first will help familiarize yourself with the game then once you have mastered it crank up the difficulty. Starting on the harder modes first might just lead you rage quit far to early. With the HD remaster being the first edition of this game that is not released to a Nintendo console, we also see some small tweaks to the game. First off the game is in HD (duh) and this pops out those already pretty pre-rendered backgrounds a bit more but in some sections it feels like it is now showing us a little too much. Much like the terrible Silent Hill HD Collection making the graphics look all pretty actually removes those graphical limitations which added to the atmosphere. In Silent Hill 2 the fog was removed in Zero the game looks a lot less dark removing a lot of that tension from the original. Many will welcome the HD look to justify there current gen console but I honestly have no problems with playing a game with graphical limitations on a new system. Unfortunately Zero doesn’t allow you to experience the game in its vanilla form. As well as the graphical makeover you can also use the new modern controls which were introduced in Resident Evil HD Remaster where you essentially point the analogue stick in the direction you want to run and your character will run automatically that way. If your a purist weird fellow like me don’t panic those good old tank consoles are still present and you can even hold a button down to run if you miss the old way of doing things. This adjustment to controls is a welcome addition for new audiences to the series. Nothing spells immersion into a game more than decent sound effects, when I walk across a carpet I like to hear the carpet. RE0 handles its sound effects perfectly with very little music in the game, its mostly your footsteps. Same can’t be said for the voice acting which seemed to take inspiration from the original Playstation game in terms of voice work, but at least that had charm. It’s just so bland and wooden that your eyes just roll when Rebecca decides to attempt to deliver a line of dialogue. Its just a shame the game really isn’t very scary. It really felt like the developers had just run out of ideas in this game which is a shame when put next the the remake of the original which handles horror and tension to a tee. I know where all the scares are in that game and still walk around the Spencer mansion terrified. In Zero the best they can come up with is the occasionally jump scare of a leech monster. 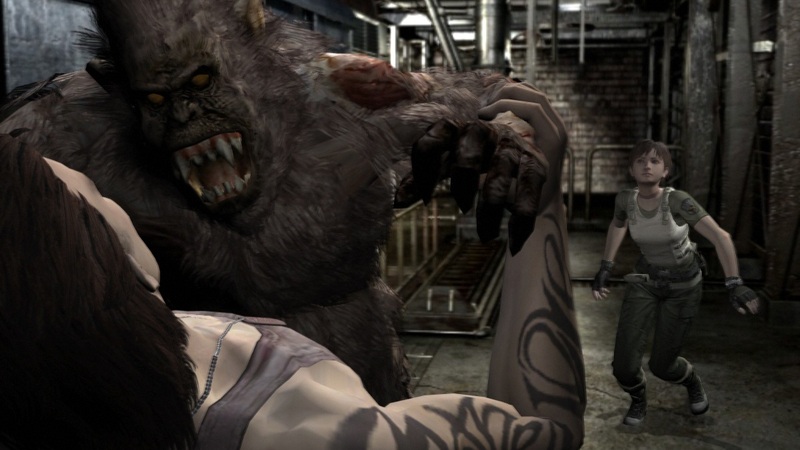 Resident Evil Zero is a fairly long game but as mentioned a lot of that is due to the crazy back tracking you will need to do. 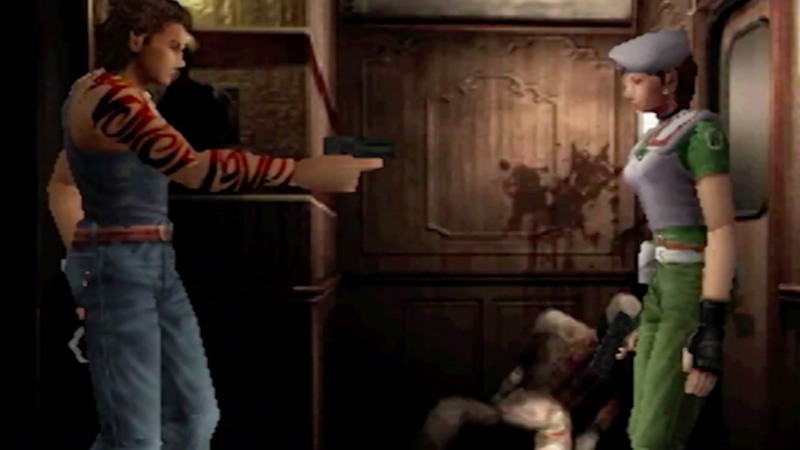 Around ten hours will be needed for your first time through but like with a lot of these older Resident Evil games once you have figured out that perfect route you’ll be able to finish the game easily in a single game session. There is something quite rewarding about speedrunning this type of game. Once finished your given a few additional incentives to continue playing. First off you unlock a collecting mini game which was included in the original release but also you unlock a new Wesker mode which is exclusive to the HD Remaster. This allows you to play the entire game as Rebecca and veteran Wesker who has the ability to explode zombie heads with his mind literally. He’s overpowered and its awesome, this is exactly the sort of unlock you want after a tough playthrough of this game. To conclude, Resident Evil Zero will satisfy the old fogies (like me) who are nostalgic for the older style games in the series. While I admire the effort to try things different the cumbersome item management in the game makes this probably the weakest game in the cannon series before things got really odd with Resident Evil 4 onward. If your new to these older Resident Evil games I highly recommend playing the original game first (which comes packed in the a physical copy of the game). Despite the marked flaws of this entry it feels quite a refreshing release today compared to the traditional over the shoulder shooting the Resident Evil series is know for today. Zero is not the best in the series but lets be honest we’re just happy it was released rather than be a cancelled N64 project that we retro games pine for like the Game Boy Color port of Resident Evil, or is that just me? It’s fantastic Resident Evil Zero has finally been released to other platforms and digitally but it really will only appeal to the die hard survival horror fans.